made of celanex. Working together, these parts evenly distribute door weight and maintain door alignment for superior performance. will not fail under normal usage. fire-rated hinges. The UL stamp denotes the hinge is fire-rated. Best of all we do not charge for this. 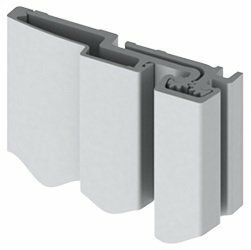 Roton® Continuous Geared Aluminum Hinges are lubricated to eliminate the need for any assistance in maintaining a quiet performance. If you have any questions about this product by Hager, contact us by completing and submitting the form below. If you are looking for a specif part number, please include it with your message.